Frustration, anxiety, sleepless nights; with over 30 years’ experience of handling disputes for our business and private clients, we know exactly how stressful and upsetting it can be when you’re involved in a legal dispute. However, with Cohen Cramer on your side, you can relax, safe in the knowledge you have someone you can trust, who puts your best interests first and gives you the best possible chance of obtaining a successful outcome. We understand that taking a case to Court is not always the only answer, not least because of the stress, risk, costs and time involved in any litigation. 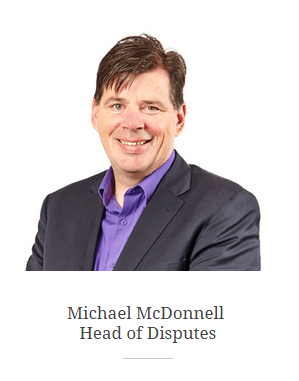 Our team is experienced in dealing with all types of Alternative Dispute Resolution including Mediation, Arbitration and Negotiation which means that more often than not settlement can be reached both quicker and more cost-effectively than through traditional litigation. Our costs are transparent and we’ll give you a clear outline from the start, so you always know what to expect. We will give you clear advice on the various funding options available to you to include insurance and conditional fee (“no win no fee”) agreements if your case fits the risk profile. We have specialist teams in place who work with the same proactive and caring ethos. They offer advice personalised to your individual circumstances, they form a tactical plan, progress things quickly, they’re on hand all the time and give regular updates, and they work towards a swift and effective resolution, securing the best possible results. Better still, all this is achieved with calm determination and an unwavering good humour.